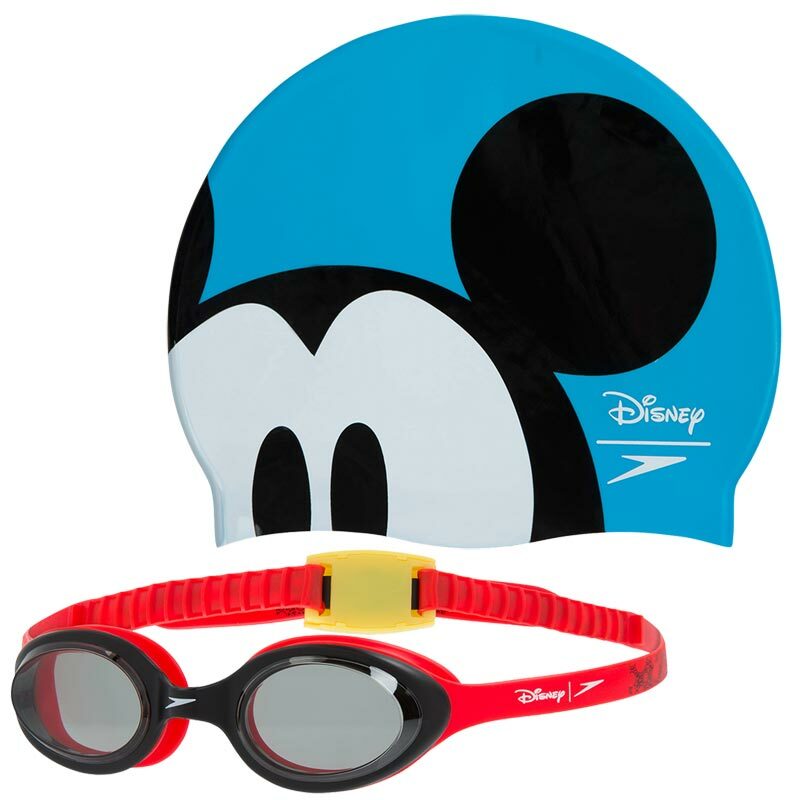 Rule the pool in this bright and fun Speedo Swimming Mickey Mouse Cap and Goggles Set. This set is designed for juniors aged 6-14 years of age. It is ideal for swimming lessons or swimming club training sessions. 1 x Speedo Swimming Mickey Mouse Cap. 1 x Speedo Swimming Mickey Mouse Goggles. Colour cap with Disney's Mickey Mouse print on side.